The Data Vortex Network was designed using mathematical principles dating back to 1936 and has benefited from decades of mathematical work and computer design experience. 1936: In Lwow, Poland, mathematicians met at the Scottish Café. Similar to the coffee shops and salons of the Enlightenment, the café was a location where academics could discuss pressing issues of the day. In the spirit of shared mathematical discovery, patrons would pose problems in a book for their fellows to solve. Those who presented the problems sometimes offered prizes to the mathematician(s) who solved them. 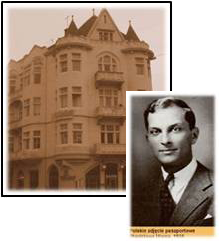 One of these prizes was a bottle of wine associated with Problem 110, introduced by Dr. Stanislaw Ulam. At the start of the Second World War, the so-called “Scottish Book” was buried underneath the post of the university’s football pitch. It was later recovered and returned to Ulam at Los Alamos after the War. 1976: Dr. Coke Reed, with Polish mathematician, Dr. Krystyna Kuperberg, solved Problem 110. Dr. Ulam, as the last surviving person with an unsolved problem with a prize in the Scottish Book, held true to tradition, and responded with a simple telegram asking, “red or white?”. Both mathematicians were rewarded with the promised bottle of wine. Dr. Reed considered a dynamical system based around the solution which carried data rather than particles, giving birth to the Data Vortex. 1997: Interactic Holdings, LLC was formed in Delaware. During the next twenty years, no venture or institutional funding has been accepted. 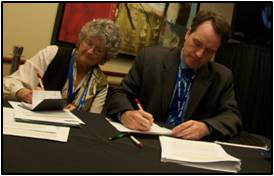 Private shareholders continue to support the company’s growth and intellectual property effort. 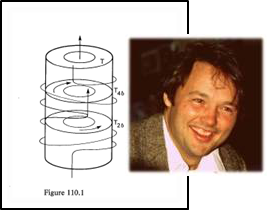 1999: Following through with his hypothesis on a data carrying, dynamical system, Dr. Reed published the first Data Vortex patent based on his solution to Problem 110. 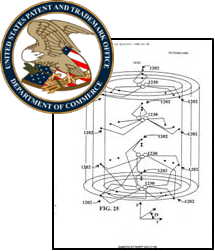 Since that date, thirteen patents have been published and there are currently approximately seventeen more in the United States Patent Office Pipeline. The intellectual property is heavily protected world-wide. 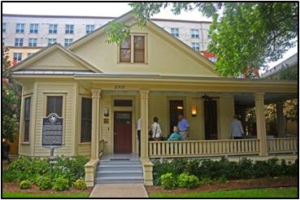 2012: Data Vortex investor Harry Lucas enabled Interactic, LLC to establish headquarters at the restored and relocated Austin, TX home of mathematician R.L. Moore. Dr. Moore was a professor of Dr. Reed’s. Mr. Lucas saw the Data Vortex effort as a product of applied Inquiry Based Learning – the teaching and educational method established by Dr. Moore and his colleague, Dr. Reed’s supervising professor, Dr. H.S. Wall. The company began hosting seminars and large strategic technical and business meetings. 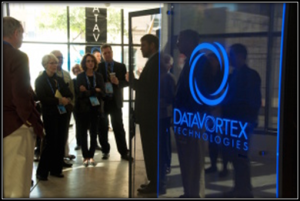 2013: Chief Software Architect, Jay Rockstroh, and others were hired to launch the Data Vortex software effort. Having worked with chief engineer, Ron Denny, in the past, the team naturally synched and successfully delivered “KARMA”, a DV205 demonstration system running impressive performance on two significant government benchmarks. 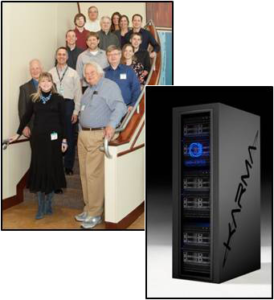 KARMA was showcased to shareholders and select customers during the Supercomputing 2013 conference in November. Renaissance Arts Hotel’s Arthur Roger Gallery, NOLA was open to visitors from across the globe as they were given the chance to see the Data Vortex in action. By this point, the company’s software and administrative teams had grown to incorporate growing interest in the Data Vortex. 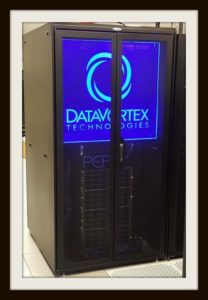 2015: Data Vortex Technologies sold and delivered a DV205 system, “PEPSY”, to the United States Department of Energy’s Pacific Northwest National Laboratory (PNNL). PEPSY is specifically designed to solve problems requiring extensive processor-to-processor communication in parallel computing systems. The unique capabilities of the Data Vortex Network are expected to match well with PNNL and the Department of Energy’s needs of large graph searches. 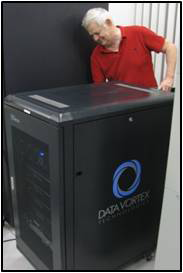 2016: Three more Data Vortex systems are deployed around the United States at government and academic sites, including Indiana University Bloomington. Researchers at PNNL publish their initial and positive results run on PEPSY. 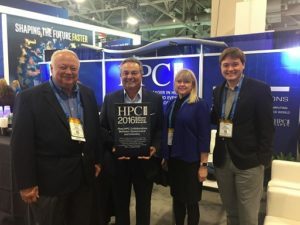 Data Vortex Technologies is jointly awarded the HPCwire Editors’ Choice Award for Best Government/Industry Collaboration with the lab’s Center for Advanced Technology Evaluation (CENATE) at SC16. 2017: The scalibiltiy of the Data Vortex switch is proven in hardware as performance of major benchmarks remained unaffected by the introduction of multi-level switching. 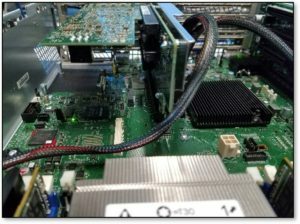 Pacific Northwest National Laboratory purchased MOUNTAIN DAO, the first such multi-level system and third overall at the lab. 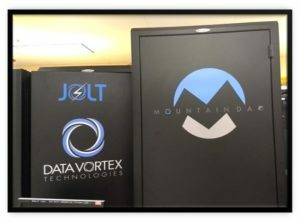 PNNL goes on to host the first ever Data Vortex Users Group (article). 2018: Data Vortex partners with Providentia Worldwide who successfully ports RabbitMQ, a leading message brokering software used by cloud and enterprise players, onto a DV System. Our Principal Design Engineer, Mike Ives, premieres the Data Vortex Network-on-Chip at ISC in Germany, announcing a Random Access performance of over 1 Billion 8 byte messages per second. Take a Tour Through Coke Reed's History of Mathematics & Computing Gallery!